Imagine waking up every morning eager to go to work and start your day. This may sound like nothing more than wishful thinking at the moment, but loving your job is not impossible. Once you find a way to earn a living doing something you truly enjoy, you’re never going to dread Mondays again. Too many people are stuck in uninspiring dead-end jobs and simply don’t know how to break away from the routine and turn over a new leaf. 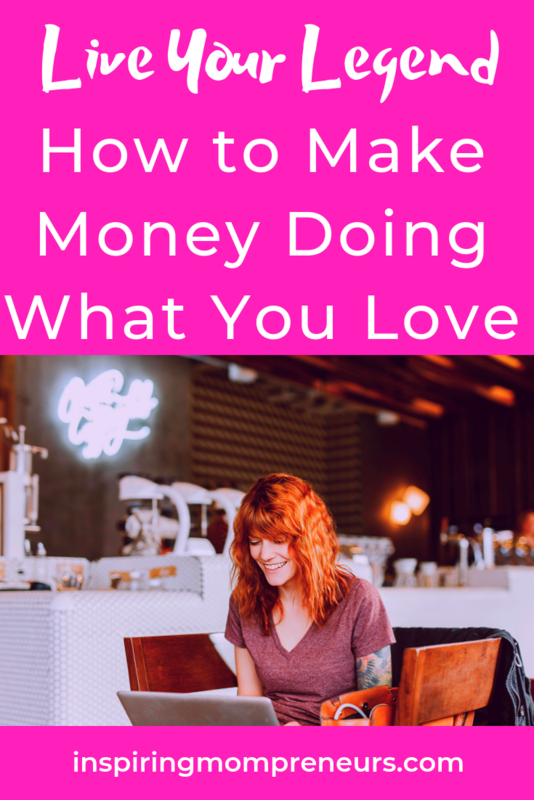 If you want to reinvent yourself but don’t know where to start, here are some ideas that can help you find ways to make money doing what you love. You’ll never be able to take real pleasure in your work unless you first discover your purpose in life. It means thinking long and hard about what it is that you really love to do and asking yourself what kind of mark you want to leave in the world. Be careful though not to over-analyze every thought that pops into your head and let your intuition guide you along the way. Try not to focus on the superficial impression others may have of you and your job and try instead to think about the ways you can express your personal values through your work. A job doesn’t have to be glamorous or dangerous to be meaningful. What matters is finding an occupation that will allow your personality to shine through and will align well with your core beliefs and values about life and work. Once you have a clear idea of what your priorities are, you need to gain as much knowledge as you can about your chosen field of work. Say, for example, you’re a Perth native who has just realized that working in the beauty industry is a job of your dreams. The best thing you could do for the sake of your future career is to find a reputable beauty therapy academy in Australia and enrol in a course that will help you gain both theoretical and practical knowledge. 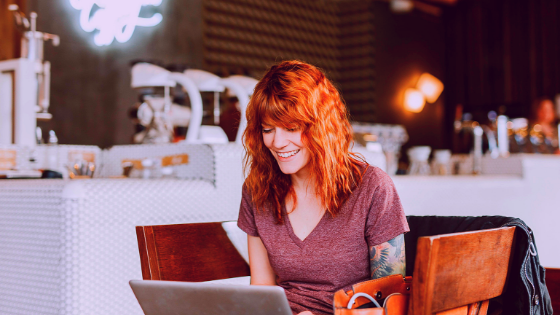 Attending professional courses is a great way to learn from experts, keep up to date with industry trends, and make valuable connections. It also gives you an opportunity to study alongside likeminded people and get inspired by different points of view. Risk-taking is a defining characteristic of every person who’s found success doing what they love. Changing your career can be daunting, but it’s nowhere near as terrifying as being stuck in a job you hate for the rest of your life. In other words, stepping out of your comfort zone is essential if you want to reap all the benefits of doing a job you love. Being bold and taking risks doesn’t mean being oblivious to what you’re putting at stake. Be realistic and take smart risks that have the greatest chance of paying off in the long run. Finally, keep in mind that failure is always a possibility, but so is the success and you never know which one is waiting for you just around the corner. We all need help from time to time, so don’t feel bad about asking others for advice when the going gets tough. Embarking on a new career is no small matter and the best way to handle the mounting pressure is with the help of a strong support system. Asking for help doesn’t mean you aren’t strong or independent enough. Knowing when to seek advice is actually a sign of maturity and it shows you’re willing to learn new things and grow professionally. Learning from other people’s experiences will help you develop and maintain stronger relationships with your clients and will make you a better leader. Whether it’s your family, friends, mentors, or co-workers, people you care about and look up to can be an invaluable source of support and motivation so don’t let your pride prevent you from asking for help when you need it. The sooner you master the art of patience, the easier it will become for you to deal with curveballs at work and overcome setbacks. No matter how hard you’ve worked on creating the perfect business plan, sometimes things just don’t work out the way we want them to. This is why it’s crucial to stay patient and keep your eyes firmly fixed on the goal. Don’t let temporary defeats convince you that it’s impossible to love your job. Keep tackling one challenge at a time and make a list of your past accomplishments to help you stay motivated and persevere in pursuing the job of your dreams. To sum up, take the time to discover your true purpose in life, learn as much as you can, don’t be afraid to take risks, and when you get stuck, don’t hesitate to ask others for guidance. Editors Note: Are you making money doing what you love? I am. That’s always been my game and it’s something I very dearly want others to experience. That’s why I’ll be teaching how I do it in my upcoming courses. Thanks, Helen, for broaching this beautiful subject and doing such a fabulous job. Helen Bradford is a journalism student who always seeks new ideas to write about. 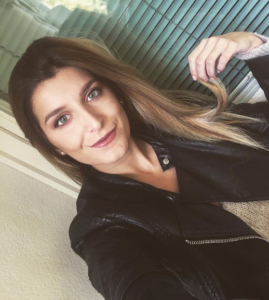 She enjoys blogging about beauty, health and style trends for women. When she’s not writing, she spends her spare time being active through fitness and traveling.